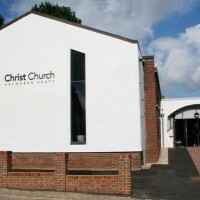 On Sunday morning we are meeting at the Christ Church building in New England Road (just 100 metres down the road from where we normally meet at Warden Park). We hope from 19th August onward, both the morning and the evening services will be taking place back at Warden Park Primary Academy. We look forward to seeing you!